Dutch industrial design. 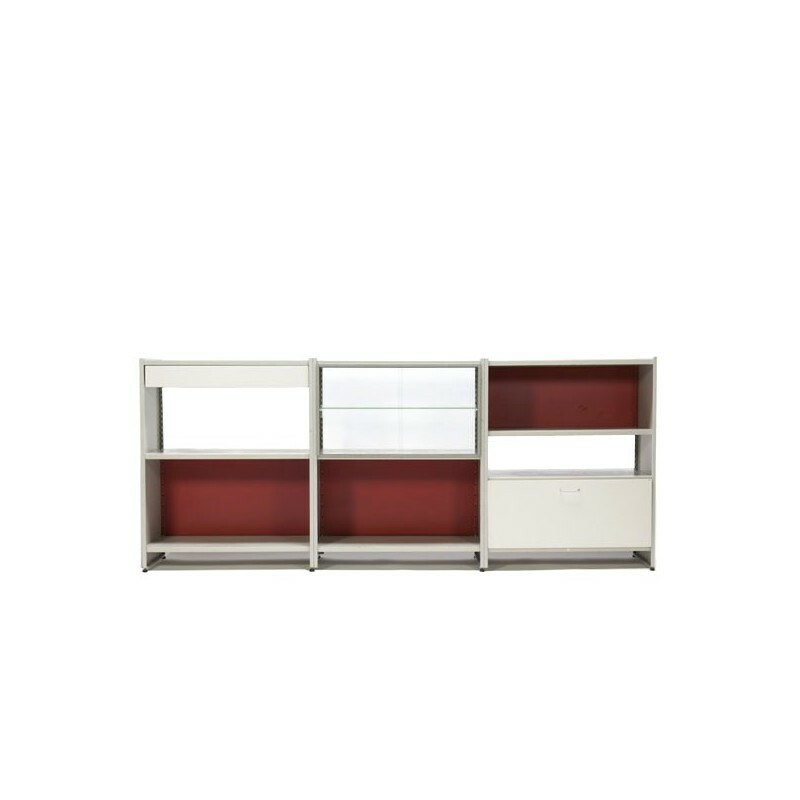 Metal wall cabinet type 5600 designed by A.R. Cordemeyer for Gispen. 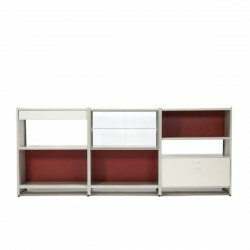 The cabinet consists of 3 parts containing a fall front door, drawer, sliding doors in glass and red back. The cabinet is in a good condition given it's age, see detailed pictures. The dimension is 220 cm L /92 cm H/ 35.5 cm W.